Prince Harry is to return to the Kingdom of Lesotho in Africa at the end of February, where he co-founded his charity Sentebale. Just weeks after returning from his tour of duty in Afghanistan, Captain Harry Wales will undertake a three-day official visit to the country where he spent his gap year in 2004. In Lesotho, Prince Harry is known by the name Mohale, which means brave man or warrior. St James' Palace said: "Prince Harry will visit Lesotho and South Africa from 25th to 27th February on behalf of his charity, Sentebale. 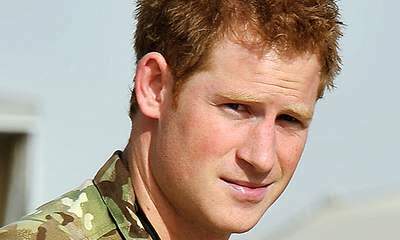 "Prince Harry will spend the first two days privately, visiting Sentebale programmes throughout Lesotho. "On 27th February Prince Harry will carry out public engagements in the Maseru district of Lesotho and then travel to Johannesburg to attend the Sentebale Gala Dinner." In Lesotho, the Prince will visit the Kananelo Centre for the Deaf and the Reitumetse Church Project, which care for orphaned children and those with disabilities. The Sentebale charity was founded in 2006 and aims to help vulnerable and homeless children and those with HIV. An estimated 400,000 children in Lesotho under the age of 18 are orphans or vulnerable children. Sentebale means "forget-me-not" in Sesotho, the national language of Lesotho, and was chosen by Prince Harry as a reminder of the charity work undertaken by his mother and that of co-founder Prince Seeiso. The Gala Dinner will mark the launch of Sentebale’s major capital fundraising programme, which aims to build the first permanent Mamohato Centre for children and young people, allowing Sentebale to reach four times the number of children than before.